Bella has woken up to find that things are not as they should be. But her mother is busy painting, and her father is playing his baby grand piano. 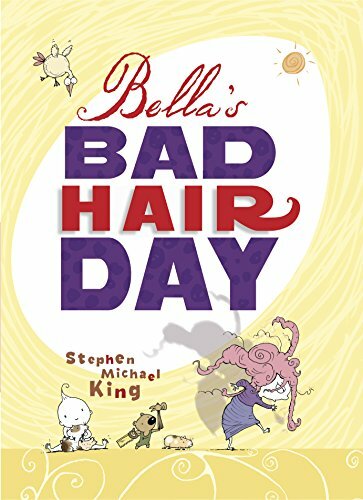 Doesn't anyone realize it's going to be a horrible, horrific, horrendous hair day? The hairdresser wants to cut it all off, except for one little curl. What is Bella to do? If only she had a hat that could hide all her messed, mashed, and muddled hair. If only life was peaceful. A heartwarming and hair-raising tale from a much-loved picture book creator. Stephen Michael King has illustrated more than 50 books, including Leaf,Piglet and Mama, Piglet and Papa, Prudence Wants a Pet, and You.